Your home is your safe place, and loving the style of your home is essential to feeling completely comfortable doing everything in it from relaxing to chasing the kids around. We are proud of our selection of gifts and home décor and invite you take a look and select something that will make your house a home. 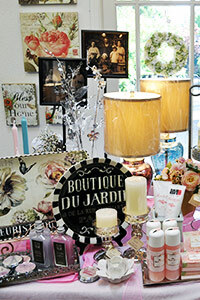 From Willow Tree collectibles to Woodwick candles, we have it all. Come in and browse or look us up on Facebook to see what we have to offer. Just like our clothing selection, our gifts and décor are always changing, so check with us often!